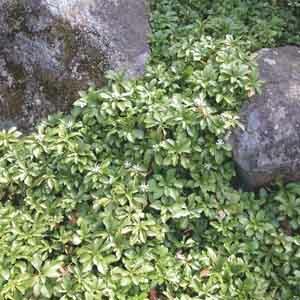 A fast-spreading carpet of evergreen foliage that looks good all season. Fragrant, white flowers bloom in early summer. The perfect choice for brightening lifeless shaded areas. 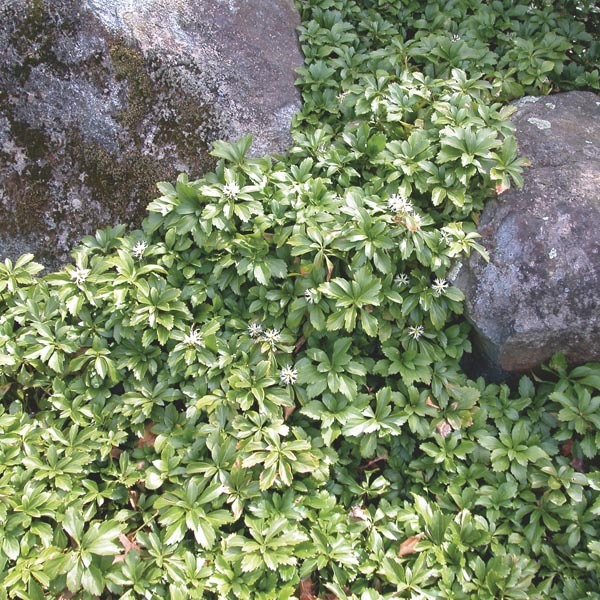 A reliable groundcover for any location. Beautiful in shady borders and woodland gardens. Effective under trees where lawn has difficulty establishing. Very easy to grow in virtually any location. Adapts to most soil types. Keep well-watered during hot weather. Performs best if given ample space to spread.